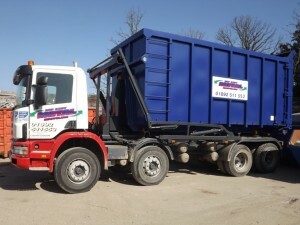 AtMid-Kent we have the transport in place to help our customers remove any amount of material from site. Be it small ½ ton lots, up to the more challenging 25 ton lots, we have skips of all sizes. We have roll on/off bins of all sizes. We have 1 ton pick-ups through to articulated bulkers. Whatever your requirements just tell us and the job is done. Unsure how much material you have? No problem. Talk to one of our team and they will arrange for us to visit and advise you as necessary. We are here to help and remove your problems. Need an Exchange service at 3am? Not a problem. Need an Exchange service at 11pm? Not a problem. We really are here to help. It is our job to make yours easier! Call the team and get the job sorted.